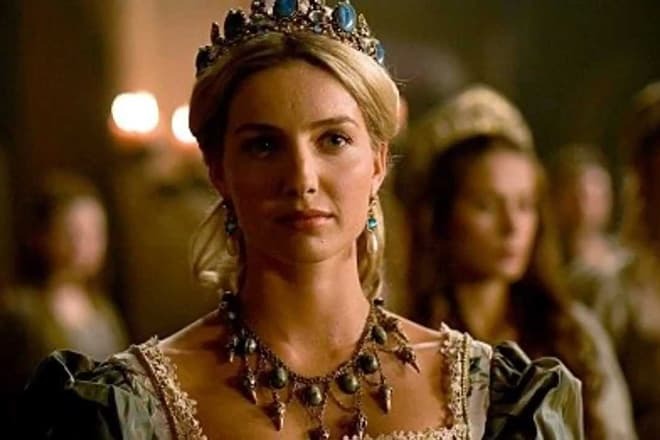 Annabelle Wallis is the actress of the British origin who became famous for the series The Tudors and Peaky Blinders. Annabelle was born on September 25, 1984, in Oxford into an artistic family. The actor Richard Harris who played Albus Dumbledore in Harry Potter movies was her relative on the paternal side. Wallis is also related to the British star singer of the early 20th century Marie Lloyd on the maternal side. Following their duties, the parents had to live abroad, so the girl went to school in Portugal. The Saint Dominic's International School was situated in the suburban area of Lisbon and stood out for its liberalism: children of various backgrounds attended it. Annabelle could listen to kids talking French, English, and Spanish and learned how to imitate any accent. Later, this ability proved to be advantageous in her acting career. Annabelle wanted to devote her life to acting when she was a little girl. In the early 2000s, the young woman moved to London and entered an acting school. At the same time, she begun to appear in small projects so that she could save her time. The manager who promoted artists helped her deal with her business. In 2005, the actress went to India to work on the Bollywood project Dil Jo Bhi Kahey... (Whatever the Heart Says). The same year, the American series Jericho with Wallis was released. The next year was marked with the movie True True Lie. In 2007, Annabelle Wallis participated in the feature and documentary movie about Princess Diana’s last days in Paris. In the late 2000s, the actress got the roles in several projects: the thriller Steel Trap, Ridley Scott’s Body of Lies, and the western Ghost Town. 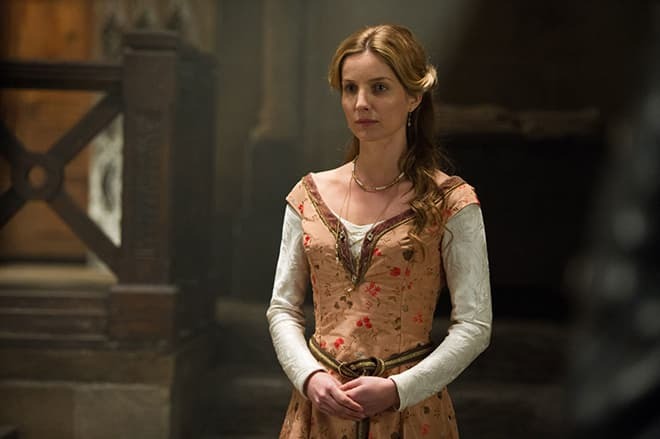 In 2009, Annabelle auditioned for the role of Jane Seymour, Henry VIII’s third wife, and succeeded. 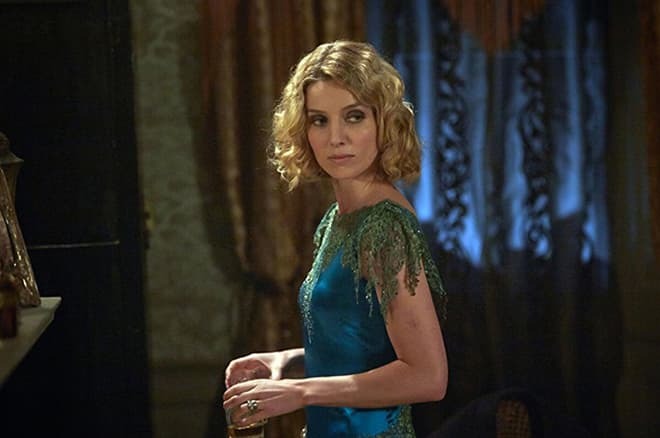 In the Irish series The Tudors by Michael Hirst, Wallis replaced Anita Briem who had already begun to work on the first season of the series. As a result, all scenes with the king’s wife had to be shot again. In this series, Annabelle had the chance to collaborate with Jonathan Rhys Meyers, Joss Stone, and Henry Cavill. Thanks to that, the actress’s professional rating improved. In 2010, Wallis played the main character, Dorel, in Mikael Salomon’s fantastic movie The Lost Future. She also got the role of Dana Van Rijn in the action movie Strike Back: Project Dawn. The next year was quite rich in exciting projects. Together with Andrea Riseborough, James D'Arcy, and Natalie Dormer, Annabelle appeared in the romantic drama W.E. directed by the American singer Madonna. Besides, Wallis received a role in Matthew Vaughn’s fantastic action movie X-Men: First Class. In the series Pan Am, the young woman played the stewardess Bridget Pierce. In 2013, Wallis’s filmography increased: she acted in the gangster series Peaky Blinders created for BBC. Annabelle played Grace, an undercover agent. Cillian Murphy, Sam Neill, and Tom Hardy starred in this project as well. At that time, fans noticed the change in Annabelle’s appearance: the shape of her nose was different. In the first season, one could clearly see her small hump while the actress’s nose in the second season was straight. Apparently, the woman had surgery between the series seasons. In 2014, the actress was offered the lead part in the horror Annabelle by the American director John R. Leonetti. The movie’s box office was $250 million while its budget was only $6.5 million. The same year, Wallis collaborated with BBC again and appeared in the series The Musketeers and the biographical drama Fleming: The Man Who Would Be Bond. For a long time, Annabelle Wallis was a private person. 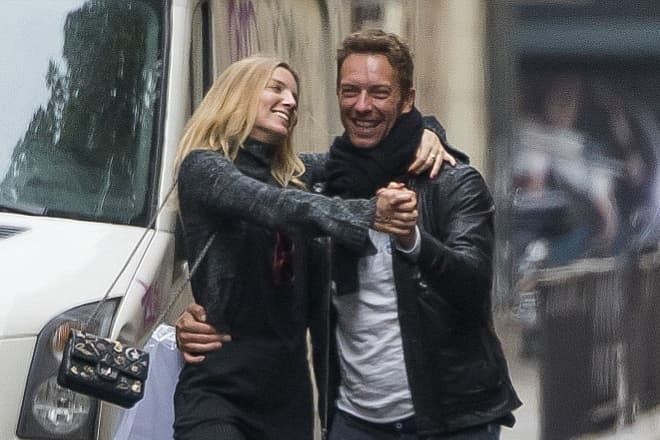 When she turned 31, her life changed: the British actress often accompanied Chris Martin, the leader of the group Coldplay and the ex-husband of Gwyneth Paltrow. In fall 2015, the lovers went to Paris and spent there several days visiting cafes and shops. Paparazzi did not miss the chance to take the pictures of the happy artists kissing. Annabelle Wallis is an active Internet user. Today, more than 97 000 people follow her Instagram page. The woman posts photos from work as well as the pictures of gorgeous dresses for social events. In addition to her acting, Annabelle often appears on covers of fashion magazines and runways. In 2016, the actress worked on several projects. She appeared in the comedy Grimsby where Sasha Baron Cohen became her stage partner and the thriller Mine starring the American Armie Hammer. Besides, Annabelle received the lead role in Zack Whedon’s thriller Come and Find Me. One day, her character Claire disappeared from the life of her boyfriend David (Aaron Paul). As the search is being conducted, the young man discovers the unknown facts from Claire’s life. 2017 brought Annabelle Wallis two starring projects. In Guy Ritchie’s fantasy drama King Arthur: Legend of the Sword, the actress got the role of a maiden. In Alex Kurtzman’s horror The Mummy, Annabelle gained the lead part together with Tom Cruise, Russell Crowe, and Sofia Boutella.